The U.S. is tied for first with China in global 5G readiness, according to a new report from global telecommunications research firm Analysys Mason. Making an influx of spectrum available to America’s wireless industry over the next five years will help secure America’s 5G leadership, add $391 billion to the U.S. economy and create 1.8 million new jobs according to separate research, conducted by Analysis Group. These findings are included in a new CTIA paper outlining the wireless industry’s recommendations for the National Spectrum Strategy being developed by the Trump Administration. “The U.S. has made impressive strides in the 5G race thanks to the commitment of the Administration, Congress and the Federal Communications Commission to smart policies that unlocked the power of free-market competition,” said Meredith Attwell Baker, CTIA President and CEO. CTIA also unveiled its National Spectrum Strategy to Lead in 5G. For the second year in a row, Analysys Mason’s study ranked countries on their 5G readiness. The findings show the United States moving from third place in 2018 to a first place tie with China. South Korea, Japan and the United Kingdom follow, in that order. 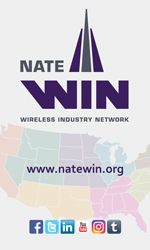 The improvement in the U.S. ranking is attributed to significant investment by America’s wireless industry in 5G networks as well as government action to reform infrastructure policies and make more spectrum available to wireless operators. The U.S. scored the highest across all countries surveyed in Analysys Mason’s report on industry 5G commitment. By the end of 2019, America will have almost double the number of its next highest rival. The U.S. leads in the availability of high- and low-band spectrum for 5G but is behind in the availability of mid-band spectrum. Mid-band spectrum is critical to 5G due to its combination of high capacity and ability to cover large geographic areas. Other countries plan to make over four times more licensed mid-band spectrum available than the United States by 2020. S. policymakers at the federal and state levels have been instrumental in easing barriers to small-cell deployment that have helped pave the way for U.S. to lead in commercial 5G deployments. “Our report discusses the significant developments taking place globally towards 5G launch, and overall we have found that the determined moves by U.S. operators to launch 5G services, combined with reforms that have been made in the U.S. to make it easier to deploy mobile infrastructure, have given the U.S. a leading position in this year’s rankings,” said Janette Stewart, Principal in Analysys Mason. While the U.S. has significantly improved its position in the 5G race, a number of challenges remain that must be addressed in order to overcome China longer term. Foremost amongst them is China retains a significant infrastructure advantage. A recent study showed China with more than 14 wireless cell sites per 10,000 people, compared to 4.7 in the United States, and more than five sites per every 10 square miles, compared to 0.4 in the U.S.